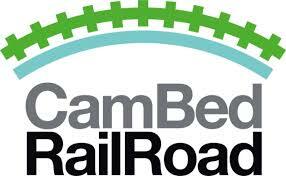 The Cambs Bed Rail Road working group has asked all local Parish Councils to circulate the attached information. Please note that this is not a recommendation from the Parish Council but each reader is encouraged to decide for themselves what next steps (if any) they should take. We have been advised by the Project Engineer, Highways Service, Cambridgeshire County Council that the traffic scheme agreed for Barton Road will be installed week commencing Monday 15th October 2018. The work will take roughly four days to complete. 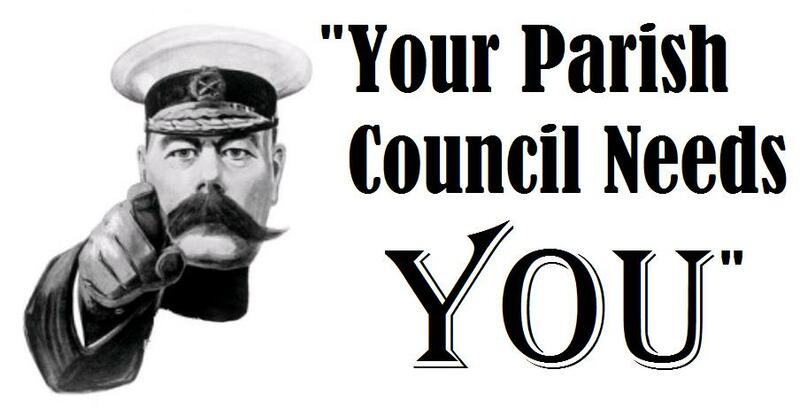 We need you to be a Parish Councillor! 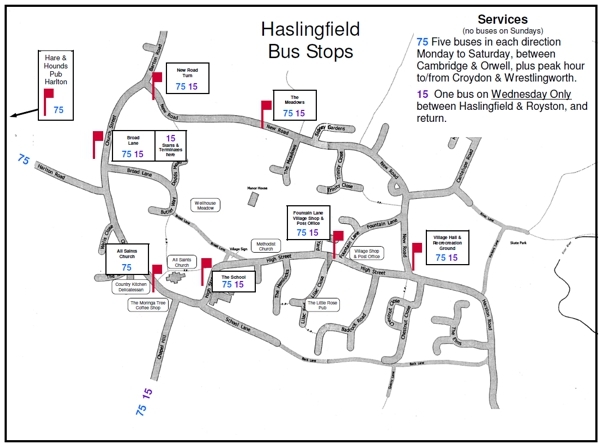 Do YOU want to make a real difference and get involved in the important issues in the village such as environment, playground and skatepark, speeding on Barton road, parking near the school, buildings and planning regulation and many other issues then become a Haslingfield Parish Councillor. The Haslingfield Parish Council meets on the second Monday of each month at 19:30 in the Village Hall. 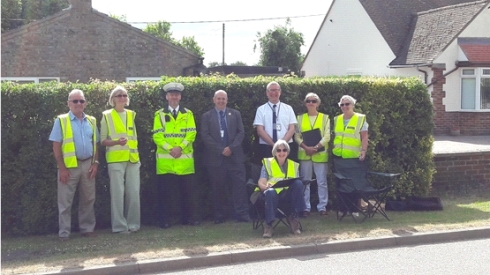 If you are interested in becoming involved with running the parish and contributing to decision making which affects YOUR village please contact the Parish Clerk, Vicky Crowden on 07495 435029, email: Vicky Crowden or attend one of the monthly meetings and get a feeling as to what is involved. We are happy to answer any questions you may have. 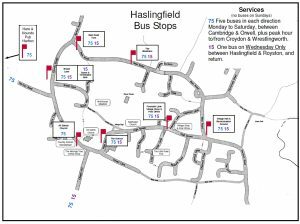 We now only have 5 councillors (out of a compliment of 11) and are in real danger of becoming part of Harston parish if we cannot attract more councillors! With little time spent you can make a real difference! Haslingfield Parish Council are delighted to announce the arrival of our new Parish Clerk, Vicky Crowden. Vicky has previously worked extensively in retail banking and management consultancy and starts with immediate effect. 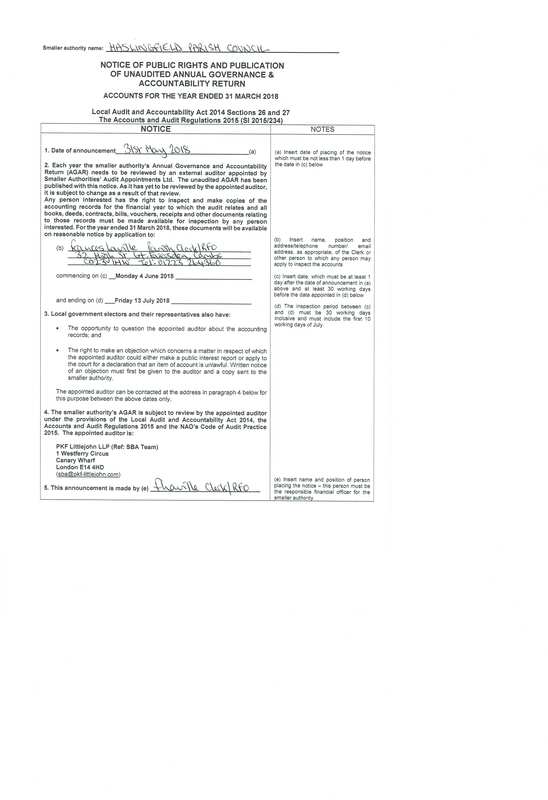 May we also take this opportunity to offer our thanks to our previous clerk, Frances Laville. We continue to welcome communication from our parishioners. Vicky can be contacted by email (clerk@haslingfieldparish.co.uk) or by phone 07495 435029. All the contact details for your new parish clerk, Vicky Crowden and all the councillors can be found here: parish details. Please be aware that we still have vacancies on the Haslingfield Parish Council. The Thursday 3rd May 2018 visit was postponed because of staff sickness. 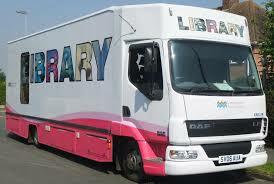 The Library Van visit to Haslingfield will now be on Wednesday 9th May 2018 at the usual time.